Where did the idea come from such a quest?? 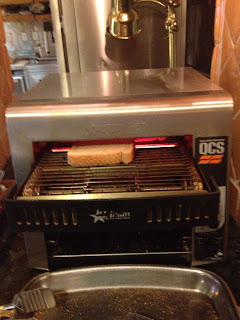 Firstly, it is a bug bare of mine that bread takes so long to toast at nearly every hotel I have ever stayed at [ it NEVER is quick and the annoyance of having to put it through twice!! - I know, first world problems but hey... they shouldn't be hard to fix!] and secondly, I saw a none English speaking patron put METAL tongs into the depths of a popup toaster yesterday at the Fairmont Lake Louise Hotel at Lake Louise... my friend Trevor nearly killed himself doing that and has nasty scars to show for such an innocent but deadly act. 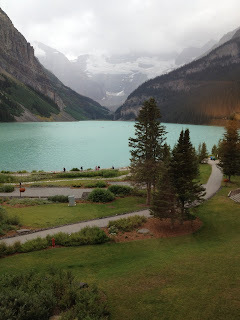 So this morning the quest began at The Fairmont Banff Springs Resort. With a breakfast room heaving with over 200 guests there was but ONE toaster... one of those tractor ones... and time after time people placed their bread in the top, and waited for 2 to 3 minutes [seemed MUCH longer] for the toast to reappear with hardly a sign of any toasting and barely warm. Once through barely a sign that toasters was on! 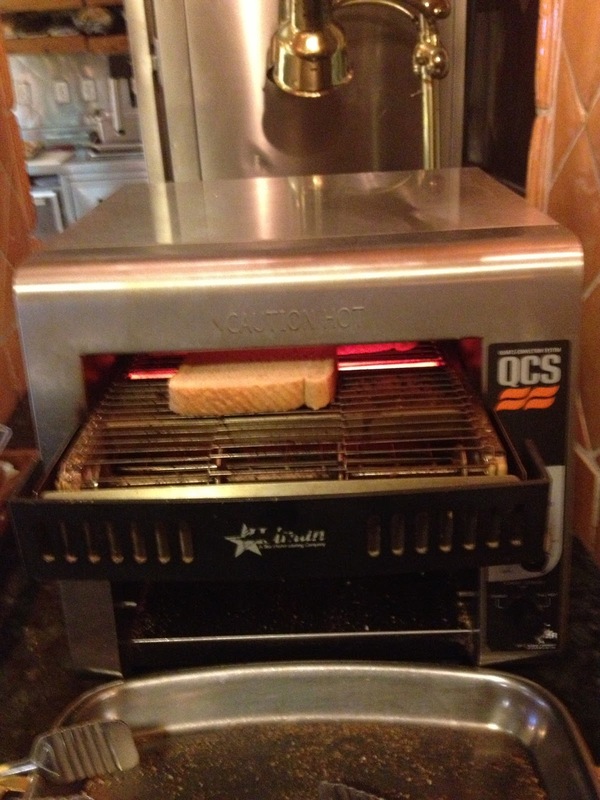 Pass 2... aaarh... toasted enough to eat... so, in my Universal World Scale of Toaster Perfection, the toaster in Banff at the Fairmont Banff Springs Hotel is rated a 5/10 ! That represents a score of "better than most, but still terrible!!" 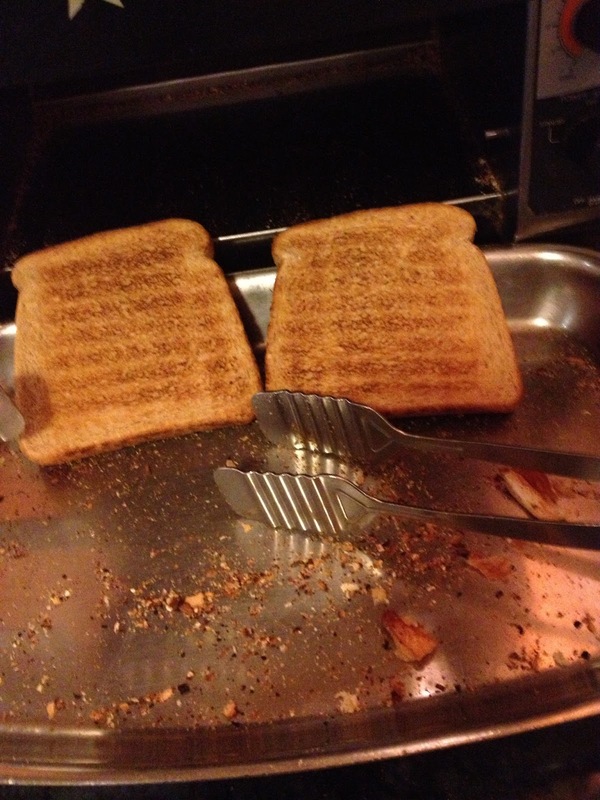 Quality of the toast?? 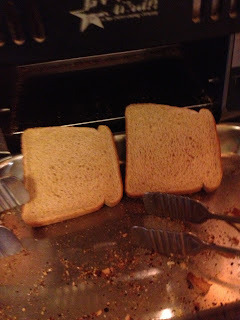 The bread was a delightful soft whole grain that was great eating with butter and berry jam. 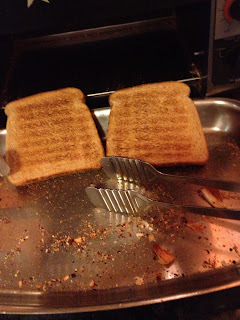 Feedback: Let me know if you have been lucky enough to find a GREAT toaster or share with me your Toaster horror stories!! If you arewatching: Fairmont Banff Springs Hotel would love to have your feedback! If you have been to London you will know that there are more stores than just Harrods. Although a visit to Harrods is definitely a highlight. Just down the street is Fortnum and Mason. Joanne and I ventured to the food hall of F & M's and met renowned chef Matthew Fort and Esquire Magazine Food Editor Tom Parker Bowles. Tom was very pleased to meet a fellow cricket tragic and to bask in the glory of the English whipping the Aussies in the current Ashes series. Sometimes being an Aussie is NOT so hot... especially when we lose the unloseable 4th test as we did this series. Matthew shared with me his new project A SUMMER IN THE ISLANDS book project which is being crowfunded at Unbound Books . Matthew is visiting 50 Italian islands and writing about what makes each islands food special. This is a great opportunity from as little as $20 to help the creation of a beautiful book and get to know Matthew one on one. 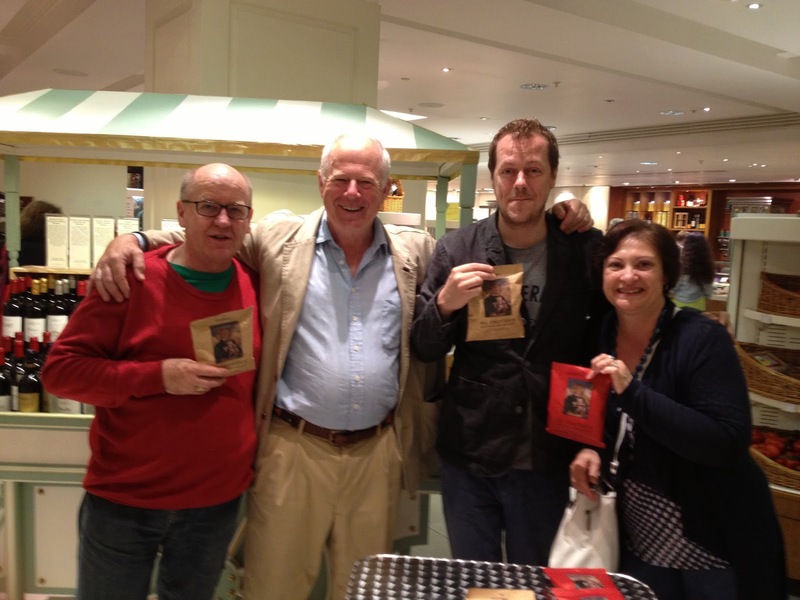 So, get over to Unbound Books and join the revolution... and oh, tell them Wayne sent you! !